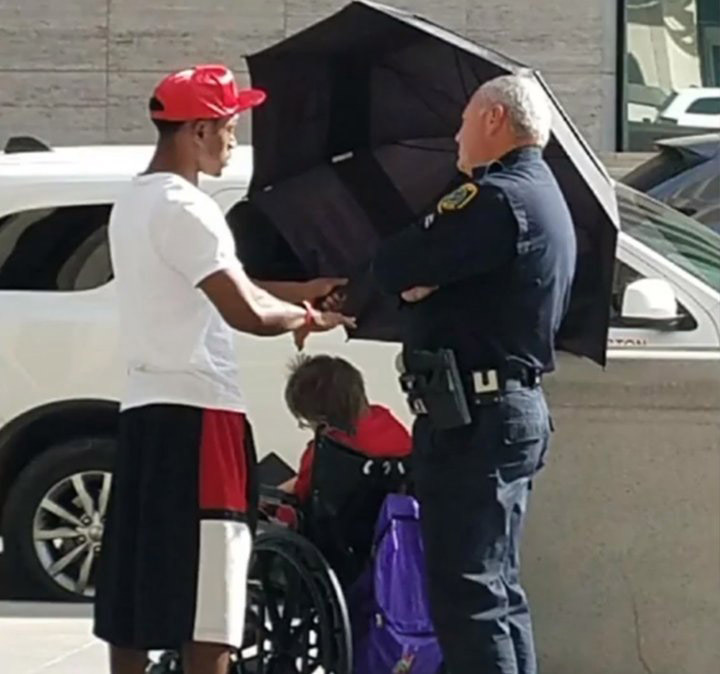 A teenager saw an elderly woman waiting at a bus stop in the hot sun so he pulled an umbrella out of his car and kept her in the shade for nearly two hours. Louis Jordan was picking up his mother from work in downtown Houston when he saw a stranger in a wheelchair waiting for a Metro Lift, a public transport bus for individuals with disabilities. “It was unbearably hot. I wouldn’t want to be out there in the sun,” Jordan told KTRK-TV. Jordan grabbed an umbrella from his car and walked over to the woman to keep her in the shade. He said he waited with her for nearly two hours. Jordan’s mother, Bernette Botts, took the photo which has drawn praise from around the country. “I am one proud mama,” Botts told the news station.